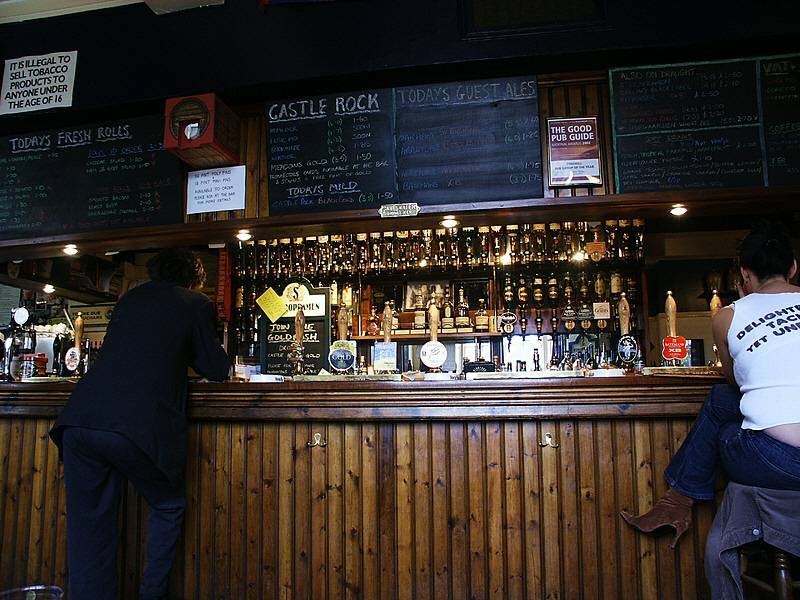 A Castle Rock pub it serves three of their ales plus Everards and nine guest ales. If you don't like beer then there is a fine selection of whisky. 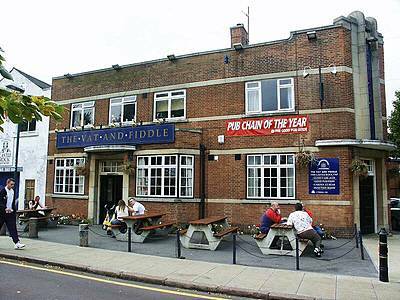 You cant miss this pub, it is further up the road from the Victoria shopping centre and almost opposite Richer Sounds. Take the road to the park and you are there. As it is such an attraction it can get busy at times, though Saturday lunchtime was not busy when we visited. Beer tickers travel from far and wide to visit, so be prepared for a squeeze at the busy times. This is in part due to the small nature of the pub with two separate rooms. The front bar has a wooden floor with posters on the walls, as befitting its old-fashioned aura. Seating is a mixture of benches and stools, with a standing area in front of the bar. Go through to the snug at the rear. When it is quiet you can also indulge in a few traditional pub games. Seating here is chairs and stools. Further on there is a conservatory and outdoor terrace, which while small, does catch the sun - when it shines. Food is served both lunchtime and evenings (Monday to Saturday 12-9, Sunday 12-5) - menu's change daily with plenty of choice for vegetarians. Access for the disabled is not good, due in part to the narrow and small nature of the pub layout. Hole in the Wall & Golden Fleece. The Glebe 100 yard down the hill from the Poacher.